I'm gonna put this as 2011 since I'm taking the December 2011 release date in Australia as the reference. 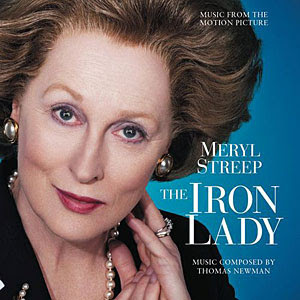 The Iron Lady is about Margaret Thatcher, that's what she's also known as. 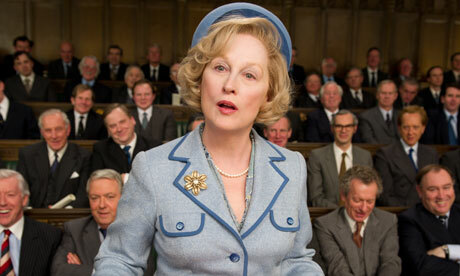 Meryl Streep plays the lead role. I know not much about Margaret Thatcher but after this film, it has shown me on her struggle from the beginning till after her unpopular phase. 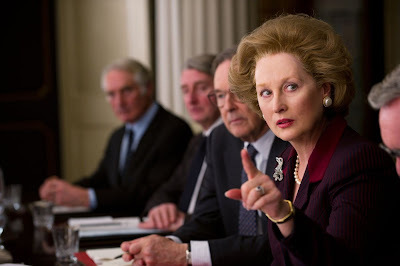 The movie shows about Margaret Thatcher where she's already no longer the Prime Minister of Britain and she's at a stage of dementia where she hallucinates of her husband and interacts with him but still maintains her sanity in check. With her now slower pace of life, there are oftentimes throughout the day happenings or triggers that jogs her mind to flashback on her life. 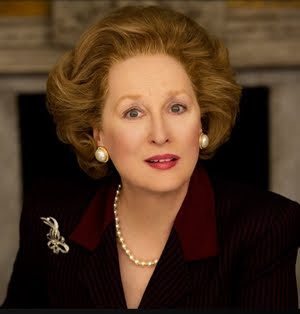 It all piece together to show her life story from the time she was young where she took an interest in politics since her father is involved too, to when she got involved in politics, then she ran for leader of the political party, putting her political life ahead of her family but does house chores as well, got elected as Prime Minister of Britain, went through her unpopular phase with unrest within the country, how as a housewife too had to face decisions at war, then the comeback of her being popular again and finally, her resignation as Prime Minister where the Cabinet ministers find it hard to work with her due to her differences with them. If anything, this show helps me to gain confidence and self esteem. Looking at the life story through the eyes of this show, it shows me a very determined individual who's not afraid to do wrong and to press on when things do not work out because it's the only way to go (in her case). She also stayed true to herself and not swaying to the views of the majority (of course, her's is a very extreme case and never bending to others way too many times). I must say it is quite an interesting show although I thought that it's gonna be a boring one. My rate for this show is 3.5 stars out of 5. A movie for ladies!! Girl power LOL! Woi! Guys can also be empowered by watching the show too, okay.